Blueberries.. This beautiful indigo colored cute berries are native to North America. In India it's very hard to get this fruit fresh, But in some big cities you can get them caned or dried that also with great difficult. 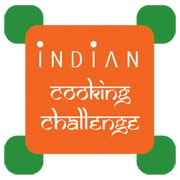 Recently i started searching for some ingredients which we generaly don't use in indian cuisine. In that list this blueberries are one. It's quite natural most of us don't know what blueberries are and how they look. But this is a normal fruit in America. 1. Preheat the oven in 250 degree C for 10 minutes. 2. Mix melted butter and sugar in amixing bowl till it turn in to a creamy texture. 3. Then add flour, salt, baking powder, blueberries and make a soft dough. This dough should be like chapathi dough. 4. Grease the baking tray with little butter. 5. Make small balls out of the dough and slightly press to make them little flat, place this cookies in the greased baking tray. With this mesurement you can get 20 cookies. This is entry for Harinis Vege Fruit A Month event by Priya of Mharo Rajasthan Recipes. 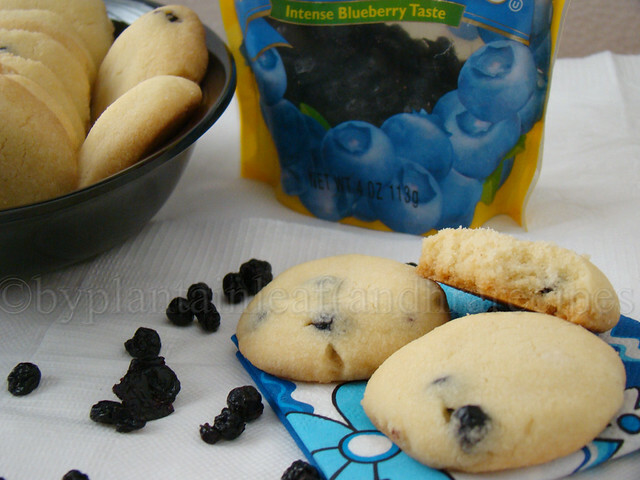 I love blueberries and the cookies look good. BTW, they are not available in Mumbai too. Sometimes some of the hypermarts do stock fresh blueberries when it is in season. 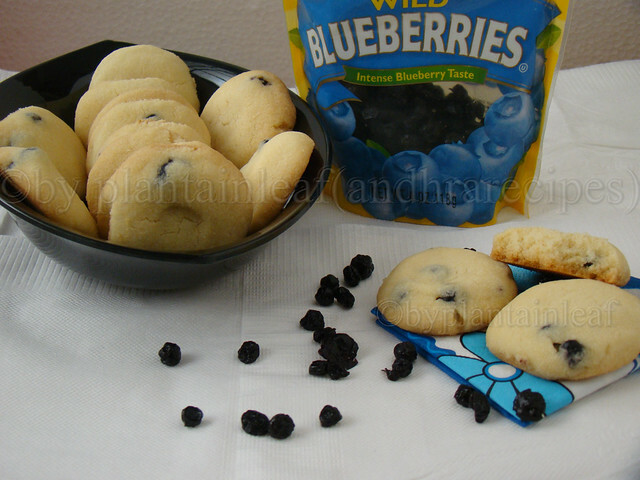 Wow those blueberries are really looking so good..I think your efforts really paid off, for the cookies are really tempting! Basic s for Indian cooking. PHOTOS, ORIGINAL RECIPES, AND TEXT © PLANTAIN LEAF. ALL RIGHTS RESERVED. ASK FIRST!